In a computing world of new video and audio cards, add-ons, higher-powered chips and more, the search for power goes ever on. Thermaltake SMART M Series SP-850M satisfies your power-hungry virtual instincts, and keeps you running at your best. 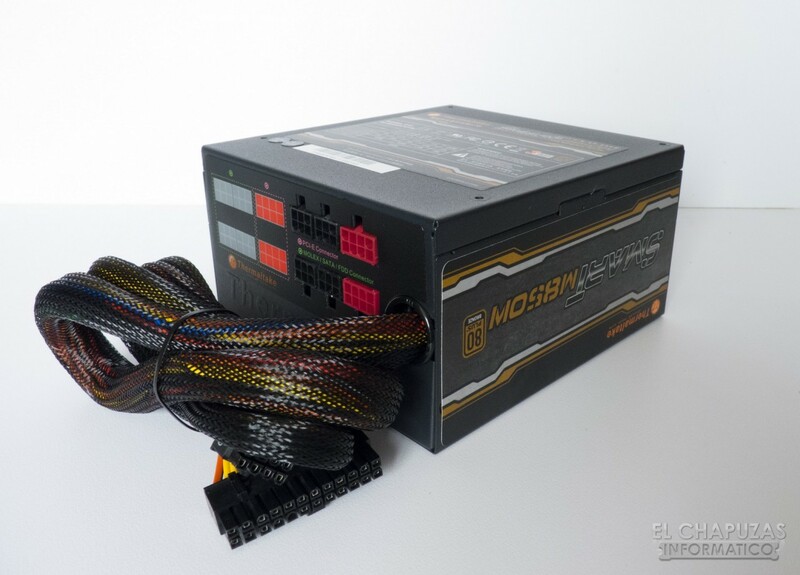 The PSU is ready for your SLI or CrossFire configuration with 4 x 8Pin PCIe connectors. A single +12V rail delivers up to 70A current for consistent performance. 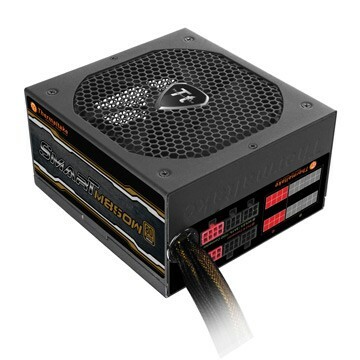 Keeping it cool is a 14mm fan with RPM control. With its 80 PLUS BRONZE certification, less energy is wasted as heat or interference, delivering more power to your hungry system! 80 PLUS BRONZE CERTIFIEDThe 80 PLUS BRONZE certified power supply provides high power efficiency of at least 82% at any load between 20% and 100%, saving your money on your electrical bill, reducing heat in your computer's system and prolonging its life. 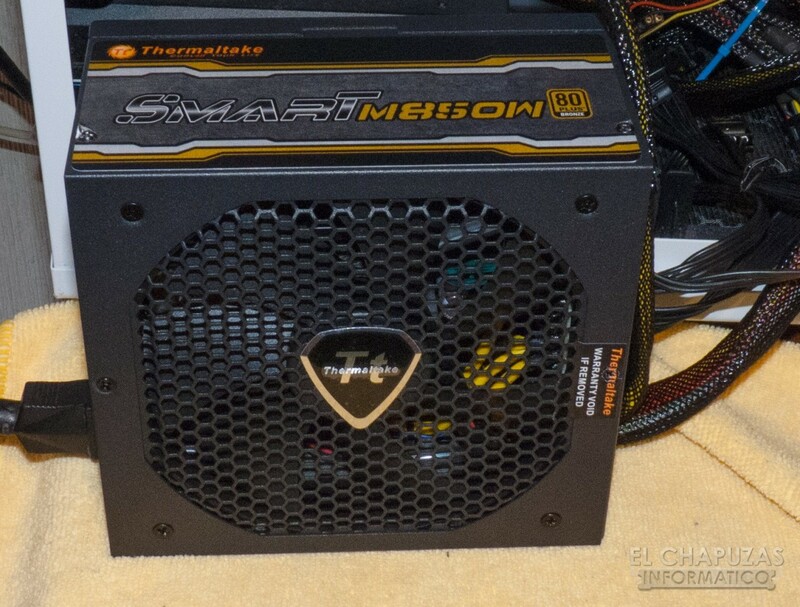 850W CONTINUOUS POWER WITH SINGLE STRONG +12V RAILThe Thermaltake SMART M Series SP-850M is capable of delivering 850W continuous power output at 40-degrees operating temperature. Class-leading single +12V rail at up to 70A design ensures the maximum provision of 12V power to multi-core CPU and energy-hungry graphics cards perfect for future component upgrades or overclocking. HIGH QUALITY 105?JAPANESE MAIN CAPACITORJapanese main capacitor provides uncompromised performance and reliability. ULTRA QUIET 14CM FANSMART Modular Bronze series adopt 14cm cooling fan with intelligent RPM control guarantees cool performance and silent operation. MODULAR CABLE MANAGEMENT AND FLAT MODULAR CABLESModular cable management design allows use of only the cables you need improving internal airflow and reduces clutter. To further improve airflow, flat modular cables which take up less space are adopted. INDUSTRIAL GRADE PROTECTIONBuilt in industrial-grade protections: Over Current, Over Voltage, Under Voltage, Over Power and Short-Circuit protections.